Chemotype: Limonene, myrcene, geraniol, farnesol. Aplications: Bathing, cooking, diffusion, massage, cleaning, cosmetic, perfumery. 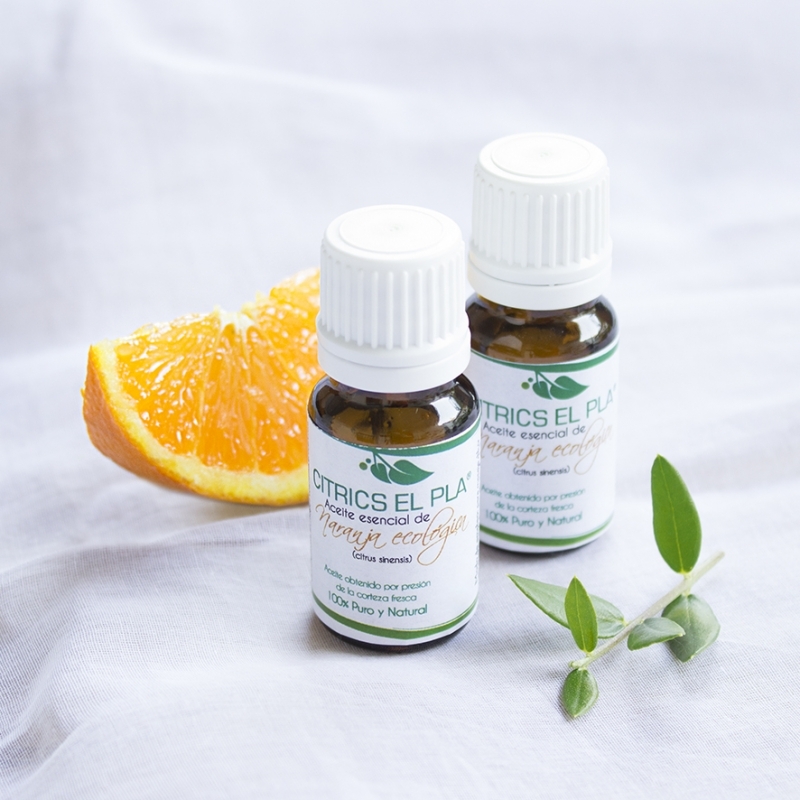 Benefits: The Organic Orange Essential Oil is a tonic which improves blood supply and will help the tonicity of your skin. It also helps relieve stress and mental fatigue. When used in massage, it produces a relaxing effect on anxious people. Cosmetic qualities: Tonic and hydrating with the capacity to protect cell membranes. Therapeutic qualities: Carminative, digestive, antispasmodic. Psychological/Emotional values: Thanks to its fresh, mild, sweet smell, it is a tonic for the nervous system which it refreshes, soothes and pacifies. Precautions: Must be diluted when used on the skin with oil base. Avoid contact with eyes and nostrils. It is photosensitive and exposure to the sun must be avoided after application. It is contraindicated in pregnant and women who are breastfeeding. The oil must be kept in a cool place and away from the light. Warnings: The information has been taken out of reference books on aromatherapy and is merely informational. If you want professional and large quantities please contact us. We are producing.